WALK to BEACH. Clean , spacious, renovated, well maintained and comfortable. Only a 1/2 mile from Scarborough beach and over 2,400 square feet of living space that includes a total of 5 bedrooms: three bedrooms, two full baths first level and two bedrooms and a half bath on lower level. Hot / Cold outdoor shower... Also an EXTRA kitchen and sink/refrigerator and wall mounted LCD TV (32 in) with papason chairs on the lower level make for excellent 'kid' space or two family vacation. Each bedroom has a ceiling fan, dresser, queen size bed and comforter set. The extra large bedrooms on the lower level each have a queen bed with an additional twin bed. Upstairs comfortable seating and a 50 inch LCD TV...All of this on an over-sized lot (50% larger than most in the area) with ample parking for 5 - 7 cars! Large deck off the dining room upstairs, with a Weber gas grill and padded patio furniture. Shaded, furnished patio below Close enough (only a half mile) to the beach that you can hear the seagulls...! Perfectly situated to beach in a nice neighborhood. The owners are active and the house is maintained. Space, space, space and large bedrooms....Lots of breezes in the Summer and very warm in the Winter. Extra large lot...Also faces unbuilt lot for extra privacy. Short walk to beach. Actively maintained. 5 queens, 2 twins. Pillows, qulits, iron, outdoor patio furniture, Weber Silver gas grill, high speed Internet access and cable. YOU MUST BRING SHEETS & TOWELS. We were quite impressed with our visit to this house we had rented for a week. I t was better than the pictures showed, it was clean, spacious, airy, and perfect for our group of 6 adults and two children. The owner was very friendly and accommodating to our needs. There was a short walk to the beach and children enjoyed the local bumper boats, miniature golf and the nearby trip to Block Island. This is definitely a place we would come back to again! We were lucky to find this house and we also had great weather. We've stayed in a lot places over the years but this one is a value. We were suprised to find furniture that was even better than the pictures. The owner said that she had just replaced all of the family room furniture and the outdoor dining area chair pads and she also pointed out the new grill and dishwasher. The kids loved the large yard on the side of the house. Having the extra refridgerator downstairs available for the older kids was great. We foudn it clean and well maintained and the owner was helpful in recommending restaurants for us. We liked Turtle Soup or Aunt Carries for reasonably priced meals. We will definitely be back. Glad you had a great vacation. Hopefully we'll see you again next year! We have stayed at this house twice (in 2010 & 2011) and our family really likes it. It's large enough to accommodate all 12 of us, has everything one could want in a summer rental. It's conveniently located to Scarborough Beach and local restaurants. And it's reasonably priced. We'll go back again for sure! This home far exceeded our expectations! The house was spacious with plenty of room for multiple families. When we arrived at the house, we were pleasanly suprised at how immaculate it was. The rooms were bright and cheerful, which made you feel right at home. 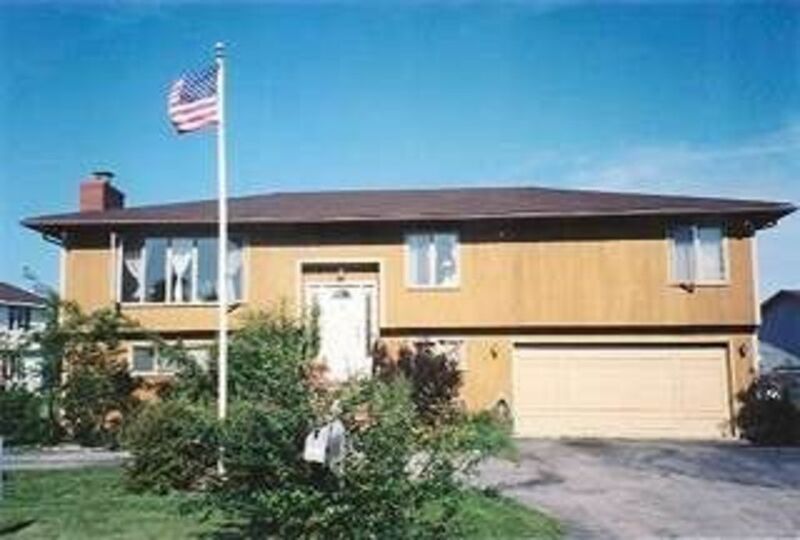 The owner was very friendly and was only a phone call away, if needed.The location of the property was great too. We took advantage of the restaurants, beaches, mini golf and go karts, as well as shopping and sight-seeing. Although we were only there for the long weekend, it was a great place to stay. It is definitely a place that we would come back to for a longer vacation. We vacationed with 8 Adults and a child and found this house to be very accomodating! A safe and friendly neighborhood with nice surrounding properties. All of the rooms were clean and bright with great natural light and great air circulation. Very comfortable living spaces, loved having the extra kitchen/bar space downstairs. Wonderful deck and full kitchen with up to date appliances. Easy walk to and from a nice end of the beach, after a day of sun the walk was just perfect without being tiring. Beautiful blooming hydreanga bushes added charm to an already relaxing home. Wireless internet a Big Plus. The owner is more than nice and willing to anwser all questions ahead of time. We felt as though we were staying at a friends home. Will absolutly rent again! Thank you! The house was functional but it did not exceed our expectations. There was plenty of room and it was great to have so many beds, a large dining room, and a large porch. The gas grill was great as well. The overall condition and cleanliness of the house was not great. In addition, there were not enough dishes and drinking glasses for even a family of 6 to stay there. The downstairs level was musty. We have provided your feedback on the overall cleanliness of the house to our cleaning staff and take the cleanliness of the house seriously -- we have never had any other complaints and have many return vacationers over the past 4 years. We did find the dishes and glasses packed away in one of the bottom cabinets -- we believe someone probably moved them to make more room for paper stuff. Also, as part of our ongoing improvement of the house, we've added a new Pfaltzgraf collection with settings for 12 -- it's beautiful. We believe the smell you mentioned was due to a heap of wet/damp towels piled up in one of the bedrooms where it appeared children had stayed. They had certainly mildewed over the period of your two week stay when the cleaning staff found them. We wish you had called us or given us any notice of any problems during your stay as we would have been happy to work with you to ensure a great vacation. All of the issues you mentioned, as it turned out, would have been easy to address! Thx for your feedback and we hope to see you back soon! Nearby you will find waterfront restaurants (make sure to try Turtle Soup! ), theater, ice cream parlors, seaside gift shops, grocery store, mini-golf, many public golf courses, Point Judith fishing harbor, Block Island Ferry, Newport (only 20 minutes away...) and Foxwoods Casino. ACADEMIC 2018/2019 is $500 per bedroom per month (Oct - April) or partial month (Sept & May). ACADEMIC 2018/2019 runs from September through May -- we rent all 9 months and not partial periods within the 9 months (HOMEAWAY only allows for 180 day minimum stay). ACADEMIC 2018/2019 requires parent signature on lease and has a $2,500 security deposit (not $300).